Are We Ready for Amazon Go? #Infographic ~ Visualistan '+g+"
Amazon recently announced a futuristic take on the traditional grocery store, dubbed Amazon Go. 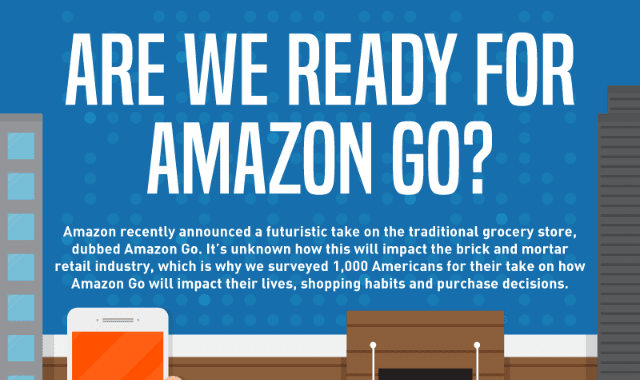 It's unknown how this will impact the brick and mortar retail industry, which is why we surveyed 1000 Americans for their take on how Amazon Go will impact their lives, shopping habits and purchase decisions.